As I said in my last post, my friend Amanda is generously taking it upon herself to collect funds to purchase toys and other needed items for the kiddos in Ramya's orphanage. We will be bringing the items with us when we go to the orphanage to bring Ramya home. I am excited to say that I have another way you can help give towards this cause :). ... With Christmas just around the corner, this is a great way to kick-off your holiday shopping!! That's fantastic! Toys might seem like a luxury, but really are vital for these kids' development. Play based learning is something I would love to see in more orphanages. 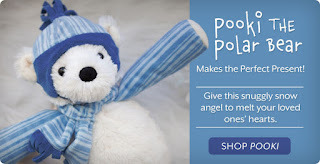 Www.madebynikki.blogspot.com – blog design to support a great cause! Get your blog designed, gain new readers, and support our charity partner in the DR and my return to India to work with special needs orphans! Take part in our November discount!